Christmas is coming! 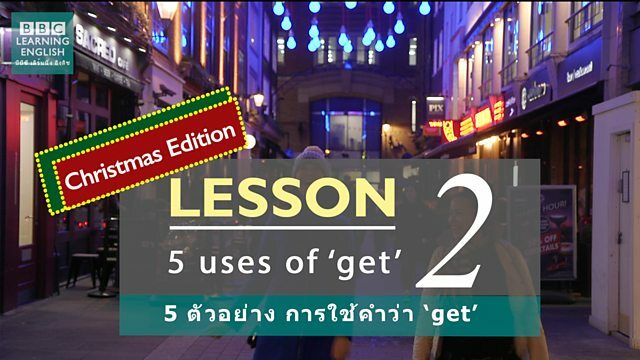 Join Sian and Clare to learn 5 uses of the verb 'get' - and to find out about some British Christmas traditions! Do you want me to get you a coffee? Ah I get it now! The film was really interesting but I didn't really GET the ending? I GOT a really beautiful necklace for my birthday. I GET so angry when I lose things! I'm going out to GET something for lunch. If we don't leave now, we won't GET to the airport on time.